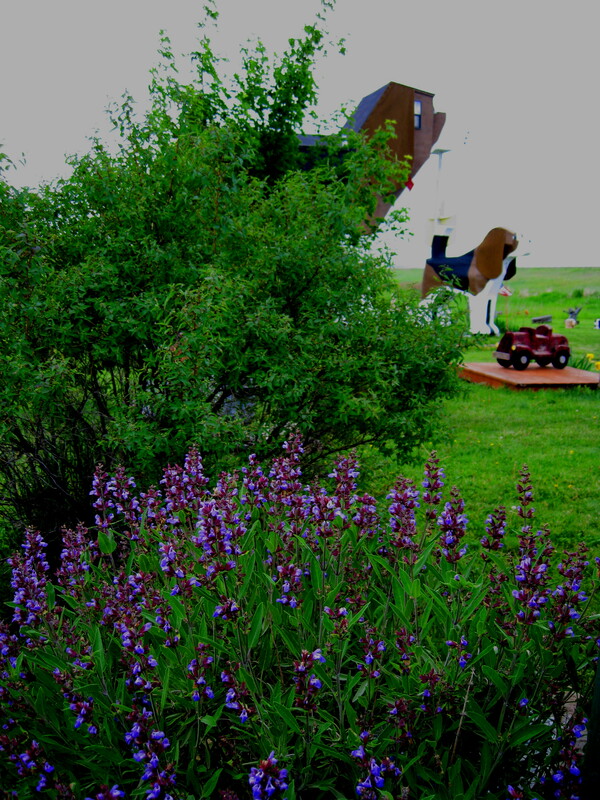 Being environmentally sensitive in our practices at Dog Bark Park has always been our practice for both the bed & breakfast and the chainsaw art components of our business at Dog Bark Park. This article will cover some of the ways we endeavor to be earth-friendly at the big dog bed & breakfast. 1. We use as earth friendly cleaning products as much as possible. We wash windows, mirrors & other surfaces with vinegar solutions using reusable cotton cloths, for instance. 2. We do not use disposable dishes, preferring instead china dishes. Drink glasses & serving dishes are clear glass and our cutlery is heavy shiny stainless. 3. Whenever possible we hang dry the laundry. We do this not only to return precious moisture to the atmosphere & avoid unnecessary electric consumption, but because we enjoy the task. What better way to spend a few moments than being under the fragrant boughs of a giant spruce tree that partially shades our clothes line. When the breezes float through it is delicious evergreen music! Additionally, we’ve found our guests enjoy the natural fragrance of sun-dried sheets. 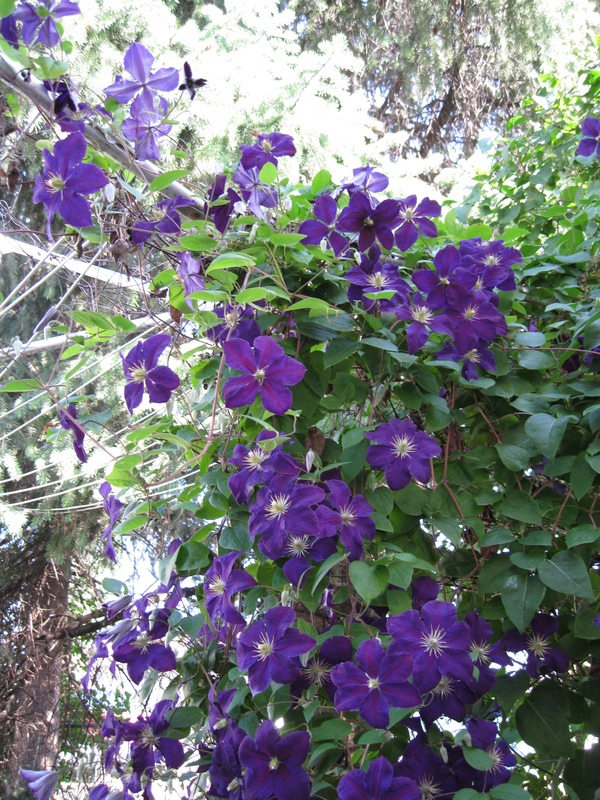 This week we are also enjoying the pretty blossoms of a clematis vine that winds its way through the outer ends of our clothes lines. The humidity in Idaho during summer is very low. Most laundry items are dry in less than an hour’s time! 4. We use very little pre-packaged food items, preferring instead to do the baking & cooking ourselves. For instance, our Prairie’s Best Fruited Granola is made from bulk-food ingredients purchased from the local health food store. 5. 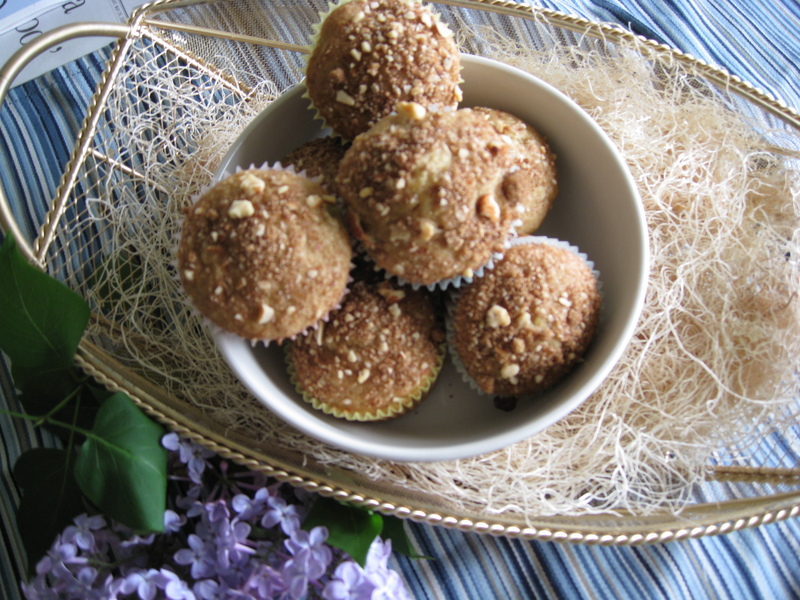 Whenever possible we use locally grown foods to serve fresh or to bake into muffins & coffee breads. 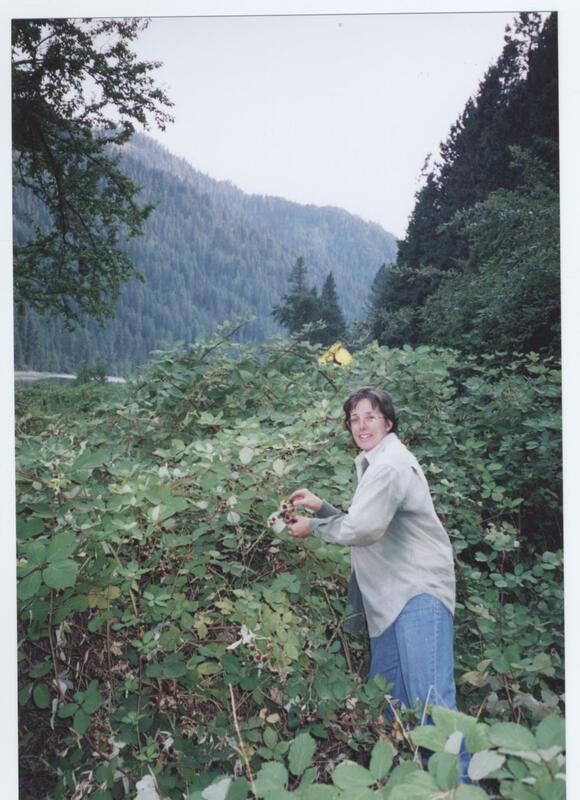 Some summers we pick wild blackberries from along the banks of the Clearwater River. Sometimes we’re fortunate to find & pick precious Idaho mountain huckleberries to share them with our guests by baking them into our pastries. 6. Exterior lights are on automatic dawn/dusk switches to avoid unnecessary usage. Heating/cooling equipment is set to PowerSave until guests arrive. We encourage natural cooling & warming by opening/closing windows and window coverings, etc. 7. Except for a small grassy area beneath the big beagle & a few selected plants, we do no outside watering at Dog Bark Park. Most of our landscaping is natural field grasses, plus plantings of pines, maples, poplars & drought resistant shrubs & bulbs that must survive on Mother Nature’s weather & precipation. This sage, for instance, has grown from a tiny cutting to a lovely plant that now overflows its container. We’re glad to share a cutting with any visitors that would like an easy, attractive plant. The hummingbirds heavily visited the sage a few weeks ago when the blooms were prime. We hardly could imagine the dry root honeysuckle sprig could grow nearly 10-feet tall as the planting instructions suggested. After a decade, we are trimming these bushes to keep them managable! Their berries are turning red right now adding color once again as the green leaves fade with summer’s heat. Each year we see more bird life at Dog Bark Park as our grounds mature providing a variety of cover for them. Yesterday we watched a family of California Quail traverse from our log yard along the perimeter tall grasses to the lower portion of our property below the big beagle where they pecked about in the mowed field grass until disappearing into tall rushes. We see bluebirds, waxwings, finches, hawks, flickers, tree swallows, meadowlarks, owls, and all the usual town birds. Feels good to know Dog Bark Park is providing for the birds. And, they in turn, are providing natural pest control along with the pleasures of their song and beauty.